I just want to get your opinions on this e-mail that I've sent to Nintendo. Please don't be too harsh if you don't like what I wrote. Subject: What's going on with Nintendo? After hearing the news of Mortal Kombat: Deception not coming on for Gamecube I got so disappointed. After a few days of thinking I realized you guys are starting to go downhill. I've been a Nintendo fan since the original NES came out. During the NES and SNES days you guys use to have just about every videogame developer making games for your systems. Now today it seems you lost just about half of the videogame developers that made games for your systems, such as Midway, Tecmo, Square(for the most part), Capcom(beginning to lose interest), and Konami(I haven't seen them make a decent game for you in a long time). So, what is the problem? I think it's because of 2 things. Number one, I think it's because you sell too many kiddy games and not enough M rated games such as Ninja Gaiden, Grand theft auto games, Doom, and etc. And number 2, it's because you clearly stated that you're a videogame industry. I stongly suggest you change job titles from videogame industry to entertainment industry. I fear if you don't then you're going to be at the end of the race when it comes to console wars. The X-Box and Playstation systems will always be ahead. I really hope you guys get your act together because I'm starting to lose interest in Nintendo products and starting to put my eye on the X-Box 2. RE: My e-mail to Nintendo! 1. "M Rated" doesn't equate to "good game", just as "kiddy" does not equate to "bad game". 2. It's not Nintendo's decision...it's Midway's. Last time when I posted something similar to this in MK:Deception forum I was told that belonged to General Discussions. Unless you're a forum administrator who are you to tell me where this goes? We are sorry to hear that you are losing interests in Nintendo products. 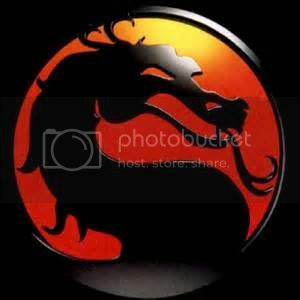 The Mortal Kombat franchise is a good one, and one that we are saddened to find losing. However, there are many other good titles in the works, including several for the mature audience. Metal Gear Solid: Twin Snakes will be out on the 9th; Resident Evil 4 and Killer 7 later this year. Mortal Kombat: Deadly Alliance is still readily available for the platform, as well. Continue to place your trust in Nintendo, and things will pick up. We expect significant changes in gaming in the coming months as Nintendo is paving the way for new and interesting gaming experiences. Thank you for your interests and we hope you will still remain faithful. That's the letter I got back. It answered... nothing. Oh boy. You always hear Nintendo saying stuff like that, but usually when they announce something what they would probably call "spectacular" doesn't interest me. dude u kno why this doesnt belongs in the MKD discussion? bc ur not really talking about mkd about the game. ur just asking nintendo to have mkd. forget it . just ignore me. Xbox fanboys are the same way they only care about games that are exclusive to Xbox and games that have good graphics that are exclusive to Xbox. the only thing nintendo needs to do is to make better first party games, and go online(i dont care much for online gaming but everyone else thinks its the only thing that matters). Gamecube owners like myself need purchase more third party games such as i have over 20 gamecube games and only 8 are first party. although probally 12-14 are exclusive to gamecube. as for these 3rd party companies, it doesnt take that much more labor just to put the 3rd party games on another system as long as they have the developmental hardware and the game the same on all systems. Plus almost anything they sell would be extra income. MIDWAY decided to not make it for Gamecube. Nintendo has ABSOLUTELY NOTHING TO DO WITH IT. I figure after the third person states it people might understand it. I don't think you should be snubing Wiz's remarks. I think he shares the same views as a lot of faithful Nintendo/ former Nintendo fans. Yeah Midway isn't supporting Nintendo with MK:D, and thats there decission if the feel they'd be taking a loss by developing a Gamecube version. A lot of us are questioning Nintendo's direction with the company as of late. And a lot of us really want to see Nintendo change things around for teh better. Nintendo can't keep trying to dictate how the games market should be, consumers do. Companies either bend to it or fall by the wasteside. If consumers want online play Nintendo can't leave that out. If consumers want built in DVD playback they can't just leave it out. And if they want to go the oposite way with there formats there going to loose out. The NG disks hold less data and therefore makes it harder for companies to develope games based on that format when 2 or the 3 major companies are using DVD format. Same happened with Sega they went with GD-Rom disks, and where planning on releasing a DVD ad on, but that hurt the company enough that developers wheren't interested and went with Sony. Having just good first party games aren't going to do it for them any more. Yeah it was enough when it was just them and Sega, but now there are other companies in the mix with more money than them, and one of them because of Nintendo's falty relations. The N64 had a crap library, and only a handful of good games for it. I personally felt my N64 was a waste of money. The first time i felt I had wasted my money on a console. And I'm sure a lot of other gamers felt the sameway. And from the looks of it the NG although one of the more powerful consoles on the market (over PS2) is hindered by it's lack of games just like the N64, and lack of features. How many times can consumers keep supporting a companies hardware when there not delivering with the content or features that they want. Nintendo needs to change the way they deal with developing there hardware and relationship with other 3rd party developers because come the next batch of console wars consumers have already decided to wait and support the best one. And if Nintendo can't deliver there going to go the way of Sega. Nintendo wanted to keep the system cost low, and by not including DVD playback (which most consumers have anyway with their PS2s, Xboxes, and stand alone players), they cut down on the cost and don't force consumers to pay for something they may already have.